Lori Keen - Glassman, Wyatt, Tuttle, and Cox, P. C.
Lori obtained a Defense Jury Verdict in a Tennessee toxic mold case involving a plaintiff who claimed total inability to work, large medical bills and pain and suffering. The jury determined the Plaintiff’s problems were all pre-existing and awarded no damages. In a Memphis premises liability case, Lori tried and obtained a Defense Jury Verdict in a Memphis wrongful death case involving an assault in a downtown Memphis business. The jury determined that Lori’s client took the appropriate measures in its actions to protect the plaintiff from any criminal threat. In another Tennessee premises liability case, Lori assisted in obtaining a Defense Jury Verdict involving an assault by a fast food employee upon a drive thru customer. As a transportation litigation attorney, Lori obtained a Defense Jury Verdict involving a Tennessee trucking case. The jury determined that the plaintiff was at fault for causing his neck and back surgery and denied any award to the plaintiff. In a case of absolute liability against her client in Arkansas state court, Lori’s efforts resulted in the jury awarding only half of an offer extended for settlement purposes at the pre-trial conference, which was rejected by a plaintiff. Lori obtained Summary Judgment in Kentucky state court in favor of a multi-national fast food chain. The case involving a fast food manager requiring an employee to undress to search of a stolen purse based on a bogus call from a third party claiming to be a Mayfield, Kentucky police officer. Lori obtained Summary Judgment in a Nashville, Tennessee premises liability action involving a large Nashville hotel. The plaintiff alleged injury resulting from a large platform collapsing. Lori proved as a matter of law that the hotel did not have actual or constructive notice of any defect or hazard. Lori obtained a Defense Jury Verdict in favor of a large multi-national fast food restaurant claiming assault by a third party inside the store. The plaintiff was struck by a baseball bat in front of the counter by a drunk patron. Lori obtained a Defense Jury Verdict in favor of a large multi-national fast food restaurant following her client’s security guard shooting unruly teenagers in a parking lot. The jury found the teenagers were fully responsible for their own injuries. 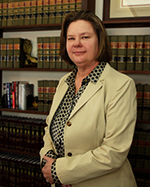 Lori has obtained over forty non-jury defense verdicts on various matters in state courts across Tennessee.